LONDON -- If the three young players who took their first meaningful steps as international footballers in England's 5-0 stroll against the Czech Republic on Friday were looking for a role model, they could do a lot worse than fix their eyes on Raheem Sterling. It was a night that offered promise that Gareth Southgate's side might yet improve from the team that reached the World Cup semifinals last year before sweeping into the UEFA Nations League finals, as a desperately poor Czech team were put to the sword in England's opening Euro 2020 qualifier. Wembley Stadium will host the final of that tournament and on the evidence of what they produced against the Czechs, England can realistically hope to still be standing on their home patch when that game arrives in around 16 months' time. Southgate offered a full competitive debut to Jadon Sancho, the 18-year-old Borussia Dortmund starlet, and he supplied the assist for Sterling's 24th-minute opener. Declan Rice, the 20-year-old Republic of Ireland convert, and Chelsea winger Callum Hudson-Odoi each came on for their England debuts in the second half. 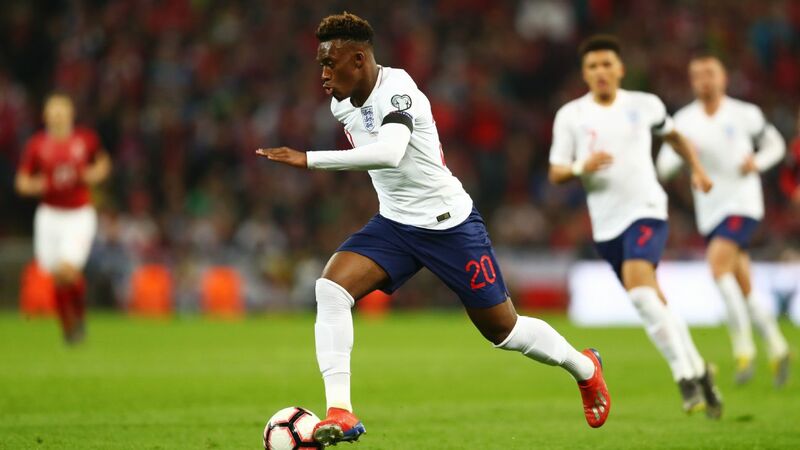 Aged 18 years and 135 days, Hudson-Odoi became the youngest England player to win his first cap in a competitive match, breaking a record previously held by Duncan Edwards. 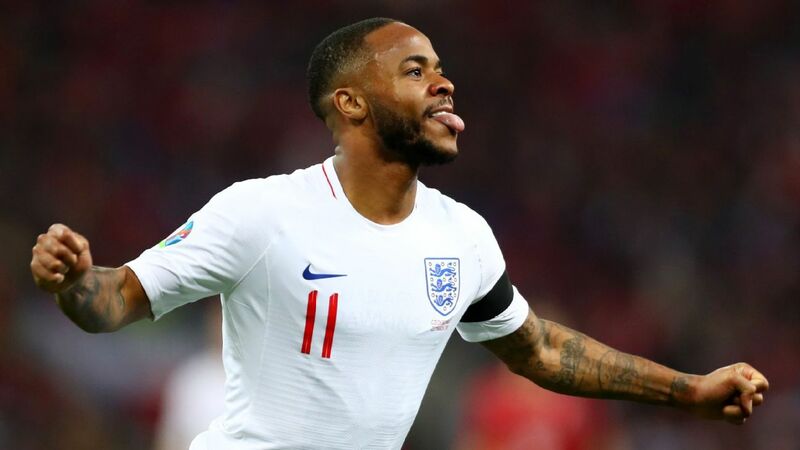 But it was Sterling who stole the show with his first international hat trick, taking his tally for the season to 24 goals for club and country. It was his second hat trick in four games, after a recent treble for Manchester City against Watford, and it served to further underline his status as one of the deadliest attacking players in European football. There was nothing especially memorable about his goals, but on each occasion he was in the right place at the right time, making the right decision. This has become almost second nature for Sterling since he started his transformative collaboration with City manager Pep Guardiola in the summer of 2016. Sterling has been booed by England's fans in the past and became a scapegoat for the team's humiliation by Iceland at Euro 2016. Yet when the 24-year-old was announced as the man of the match here, it drew one of the loudest cheers of the night. 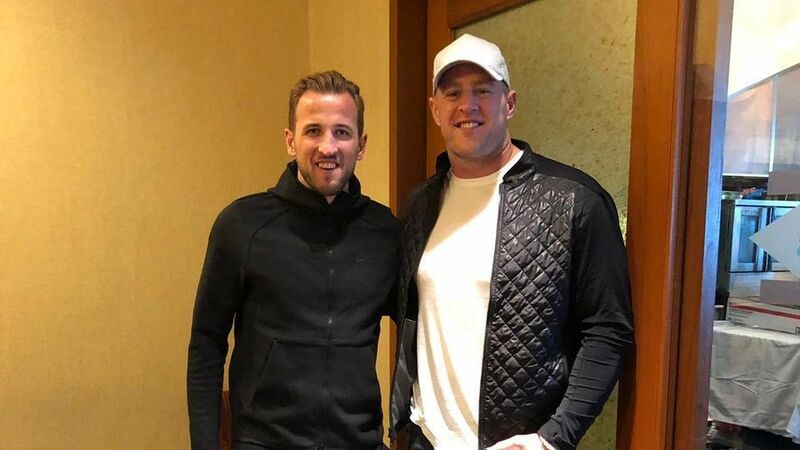 "I'm delighted for him to get the reaction he did from the crowd, because we can't hide from the fact he's had difficult moments with England," Southgate said. "He's turned that full circle." It has become customary to see Sterling banging in goals in City's colours -- he scored 23 in all competitions last season and has already amassed 19 in the current campaign -- but until recently, that had not been the case with England. Raheem Sterling has turned a corner with England and is now looking like the Man City version of himself with the Three Lions. His first 45 international caps yielded a measly return of just two goals. Having scored five goals in his last three outings, that ratio is now a more healthy-looking seven goals in 48 games. The watershed moment for Sterling (Southgate described it as a "release") came in England's stunning 3-2 win against Spain in Seville last October, when he scored twice. England's 2-1 defeat in the reverse fixture, a month earlier, prompted Southgate to jettison the 3-5-2 system that had carried England to the World Cup semifinals and Sterling has been the chief beneficiary of the subsequent reconfiguration. England's lack of creativity in central midfield has been identified as an area of concern for Southgate, but against the Czech Republic -- as against Spain in Seville -- Harry Kane solved the problem himself, the No. 9 regularly dropping deep from his starting position at the tip of the hosts' attack and threading passes into space for wingers Sterling and Sancho to chase. In Seville, he set up goals for Sterling and Marcus Rashford and at Wembley on Friday, it was his sublime pass inside Czech left-back Filip Novak that enabled Sancho -- starting in place of the injured Rashford -- to cross for Sterling to slide home. 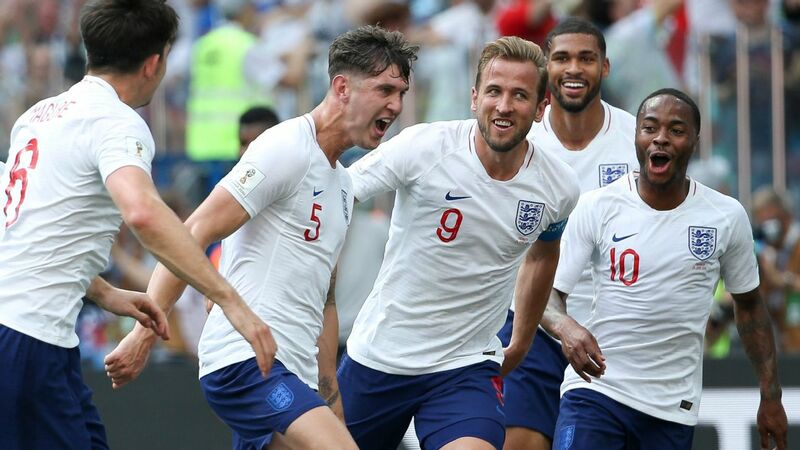 "Our system tonight definitely suits Raheem -- 4-3-3, the wingers staying high," said Kane, who scored England's second from the penalty spot, after who else but Sterling was fouled. "We're enjoying it out there." The more the game advanced, the more generous the Czechs' defending became. Sterling snaffled the third, rolling Ondrej Celustka and curling in with his left foot, after an attempted clearance ricocheted into his path. Later, his hat-trick capping goal, in the 68th minute, cannoned into the net off Celustka's right shoulder. Tomas Kalas applied the finishing touch himself with six minutes remaining, haplessly turning the ball into his own net after goalkeeper Jiri Pavlenka had palmed out a Hudson-Odoi effort. Sterling celebrated his second goal by lifting up his jersey to reveal a T-shirt that bore a tribute to Damary Dawkins, a 13-year-old schoolboy from Dagenham, East London who died from acute lymphoblastic leukaemia earlier this week. Touched by his story after learning of his search for a stem cell donor, Sterling had visited him in hospital and tweeted about his plight. It was a faultless touch. Just like everything else he did on Friday evening.